You're probably asking what is the difference between rimfire vs centerfire primers? You might be a novice marksman, or perhaps you have sent quite a few rounds downrange. Regardless of your experience, the topic of rimfire or centerfire will most likely come up in conversation with your shooting and hunting buddies or when shopping for a new firearm. Many people are unsure or unaware of the important differences between the two. But that's not you, you're here researching so that you know what you're talking about. Having a basic understanding of ammunition is important for any sportsman. And in this article, we are going to fully explore the topic. What Are Rimfire and Centerfire? 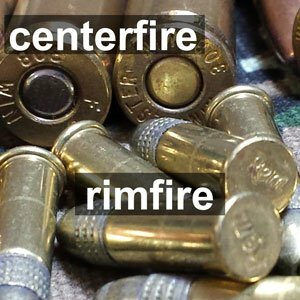 Rimfire and centerfire simply refers to two different categories that we place modern ammunition into. In short, the difference between the two, and how they are categorized, is how the primer is ignited when firing and where the primer is located. Before we go into more detail let’s review the standard cartridge and the function of each part. The body of the cartridge is known as the casing and is almost always made of the metal alloy, brass. Whereas, the bullet is inserted in the front end of the casing, and is the projectile. The type can vary greatly and is a topic for another time. Now the casing also houses the powder, which is packed directly behind the bullet and provides the pressure needed to propel the bullet through the barrel. The primer is located opposite end of the bullet at the back end of the cartridge and is where the distinction between rimfire and centerfire is found. When the trigger is pulled the firing pin strikes the primer. The primer is a mixture of compounds that, when struck, produces a spark that ignites the powder charge propelling the bullet out of the barrel. Now that we have the basic structure and function of a standard cartridge out of the way we can delve a little deeper into our topic of primer types. 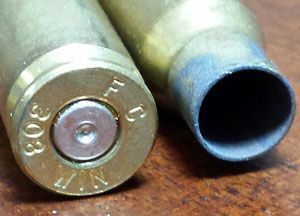 For rimfire ammo, the primer is located inside a hollow rim, hence the name, that is a continuation of the casing at the base of the cartridge. An example is seen above as 22 LR hollow point ammo, commonly used in 22 rifles. When the firing pin strikes and crushes the edge of the rim it ignites the primer. For centerfire ammo, the primer is located in the middle of the casing’s base and is a self contained, separate piece of the cartridge. An example is seen above as 9mm Luger ammo. The firing pin strikes the center of the primer, hence the name, setting off the chain reaction of sparking the primer and igniting the powder. What’s really important are the ramifications of choosing either rimfire or centerfire ammo. Can your firearm use either type of cartridge interchangeably? What are the pros and cons of each type and in what situation would you use a certain one? So, why are there two general types of cartridges available on the market? The answer has several different components, of which we will look at. Rimfire ammunition is the older of the two types. Because the pin must dent the rim to ignite the primer, the casing must be relatively thin. Because of this, having large caliber ammunition with a lot of powder was not possible without the risk of the casing bursting from the extreme pressure. As we know, larger caliber ammo was something our forbearers were interested in developing. Their answer was a centerfire primer. The advent of centerfire primers revolutionized ammunition. By having the primer as a completely separate piece of the cartridge, thicker, and consequently, stronger brass could be used for the casing while a softer metal could be used to house the priming compound. This led to the ability to add more powder and, in turn, fire larger projectiles that could be shot over much longer distances and end with a bigger punch. So why is rimfire still available for some calibers? The simplest answer is some shooting sports, hobbies, or small game animals do not require high-powered ammunition to complete the job. Rimfire ammunition is remarkably easier to manufacture and more cost efficient than centerfire. 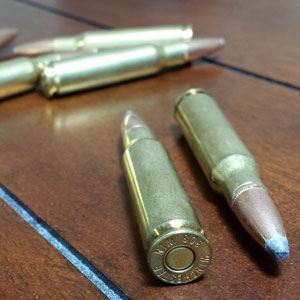 So, how do you decide if the ammo you should use is rimfire or centerfire? The task you have at hand will dictate the firearm needed, and your firearm is chambered to use specific calibers. Depending on the caliber, you will most likely be restricted to either rimfire or centerfire ammunition. Regardless, it is still beneficial to understand some of the differences between the two. 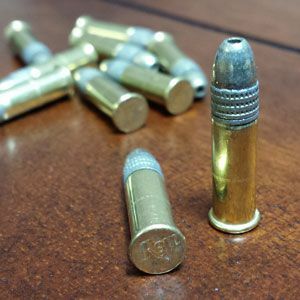 Due to the thin brass and general ease in manufacturing rimfire cartridges you will find smaller caliber rimfire cartridges are much more cost-effective than the higher caliber centerfire cartridges. Centerfire ammunition has more parts and requires more material when being produced. Because of this the price per cartridge for centerfire will be greater than rimfire. 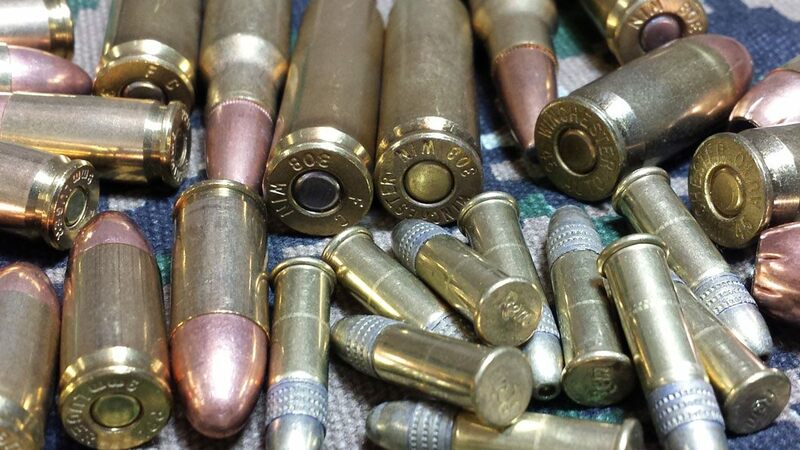 Lots of amateur and professional hunters and marksman look to save some money by reloading their own cartridges. Rimfire ammunition is not reloadable due to the rim of the casing being damaged after firing. Because centerfire ammunition uses a primer separate from the rest of the casing, after firing the casing can be salvaged and reloaded for more uses. Centerfire can be used for reloading. Go out and buy a box of small caliber rimfire ammunition and you are just about guaranteed to find a few duds. It’s going to be a small percentage, but there is always a possibility for malfunction. This is due to the manufacturing process when the primer is added to the bottom of the cartridge the distribution is not always perfect around the rim. Centerfire cartridges are much more reliable than their rimfire counterparts due to the softer material used for the primer and the priming compound being concentrated in a fixed area. When you need complete guarantee your ammo will function properly, centerfire is the way to go. Rimfire cartridges, for the last hundred years, have been relegated to your lower end calibers such as the .22 and .17 along with their variations. An interesting fact is the rimfire .22lr cartridge is the most purchased cartridge in the US. All your higher caliber firearms will use centerfire cartridges, and the variety of these calibers is tremendous. Some of the more popular centerfire ammo, in terms of amount sold, includes the 9mm, .45, .380, and .40 calibers. Be aware there are many more calibers and their variations than the four listed. It depends with caliber on how you use it, which we cover next. You now have a solid background on the basics of centerfire and rimfire ammunition, including some pros and cons for each. So now the interesting contrasts between the two can be examined. You already know the type of firearm you are using will dictate which type of ammo will be used, but for consistency, lets continue thinking in terms of centerfire vs rimfire. The topic at hand is only scraping the surface of the type of ammunition you are loading, but it is a crucial for anyone thinking of purchasing and using a firearm. Depending on how your gun is designed and your intent, you might find yourself needing to understand the difference between rimfire and centerfire. 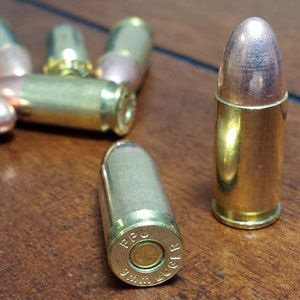 Hopefully, this article has shed light on the question of centerfire vs rimfire and provided you the groundwork for understanding your ammo more fully. Whatever type of ammunition you find yourself using and whatever your sport of choice, remember to always handle your firearms safely and responsibly.